Good doctors need more than medical knowledge and technical expertise. Yet healthcare providers tend to undervalue the importance of patient communication, both verbal and nonverbal. Eye contact is one of the most powerful forms of nonverbal communication, but many physicians forget to utilize it. Long story short: using eye contact effectively makes patients healthier and doctors happier. Here’s why. Making eye contact in any conversation shows the other person you are genuinely interested in what they are saying. It conveys empathy, trust, and emotional connection. When physicians make eye contact during the patient interview, patients report improved satisfaction. Of course, this is true of effective communication skills more broadly. When providers demonstrate social and interpersonal competence, patients are more satisfied. Eye contact isn’t just important for patient satisfaction. Research has found that communication during medical interviews influences patient adherence and health outcomes. 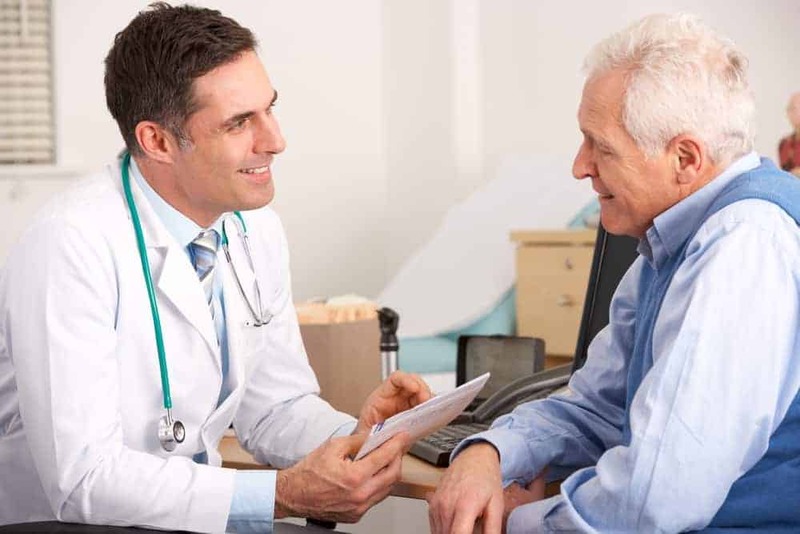 For example, a study of asthma treatment found that patient-provider communication affects desirable clinical outcomes like medication adherence. Eye contact is one piece of the communication puzzle. Providers who establish a sense of trust can increase patient motivation, improving their chances of a successful health outcome. It’s not a big leap to say that if your patients are satisfied and healthy, you will also like your job better. As doctors experience increasing rates of burnout, honing your communication skills is a great way to remember why working as a healthcare provider is meaningful. Electronic health records also demand new interpersonal skills from physicians. At at time when EHRs have providers tethered to screens, prioritizing basic communication skills like eye contact is more challenging and necessary than ever. Obviously you don’t want to overdue it with eye contact. A good guideline to follow is the 50/70 rule. When you are speaking to the patient, try to hold eye contact about 50 percent of the time. When you are listening, try to keep eye contact for about 70 percent of the time. To establish consistent eye contact, the provider and patient’s eyes should be at approximately the same level. There are obvious limitations to this suggestion, but do your best. For example, if the patient is sitting, try not to conduct the entire patient interview while standing. Talking is three times faster than typing, and medical dictation technology is more accurate than ever before. Instead of staring at the EHR on your desktop, consider a cloud-based mobile dictation solution like Mobius Scribe. 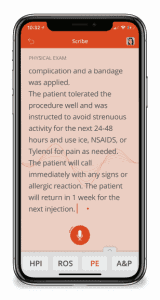 Scribe allows you to dictate notes directly into the patient chart with incredible accuracy. This means you can streamline clinical documentation while maintaining eye contact with the patient.